This month, the global community recognizes the anniversary of the United campaign to eradicate statelessness. This provides an excellent opportunity to reflect on recent developments regarding the right to citizenship in the US. The US Constitution guarantees citizenship to everyone born in the United States, with a few limited exceptions. Nevertheless, as a presidential candidate, Donald Trump suggested that the country should revise this rule of birthright nationality, and once in office, he surrounded himself with trusted advisors, like Michael Anton, who have publicly advocated for such a revision. Suggesting changes to the US Constitution is not inherently dangerous. However, recent news reports suggest that the US State Department may be operationalizing this restrictive view of US citizenship by denying passports to Americans born near the US-Mexico border. In the past, midwives have admitted to making false reports of births in the United States to help people born in Mexico to secure US citizenship, and this is certainly cause for concern. The reported increase in passport denials seems to reach beyond these midwife cases, however, and there is no question that US citizens of Mexican ancestry suffer disproportionately. 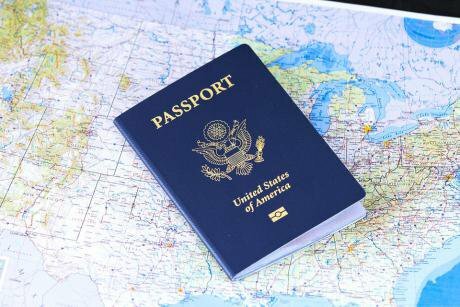 This troubling trend of denying people birthright nationality has been accompanied by an intensified effort top strip people of US citizenship. US Citizenship and Immigration Services (CIS) has stated its intention to refer approximately 1.600 cases to the Justice Department for denaturalization, a judicial process to strip citizenship acquired though naturalization. These prosecutions arise from an investigation known as “Operation Janus,” which identified some 315.000 naturalization cases where fingerprint data was missing and prompted concerns that some people might have acquired citizenship though fraud. Earlier this year, the Justice Department denaturalized a man identified though Operation Janus who had used two different names to evade immigration enforcement and secure immigration status. Nevertheless, the announcement of a high number of new prosecutions raises concerns about the scope of this initiative and begs questions about which citizens the Justice Department will target next. Notably, statelessness has been absent thus far from the conversation about the potential implications of these efforts by the federal government to restrict access to citizenship on the border and to strip citizenship from others. A stateless person has no nationality anywhere in the world, and since at least World War II, the global community has recognized the inhumanity of this condition. Thousands of stateless migrants currently reside in the United States, including former citizens of the Soviet Union as well as expelled Ethiopians of Eritrean ethnicity. Human rights observers have expressed concerns that many have been left stateless as a result, without nationality anywhere in the world, prompting international outcry. In the event that these stateless people do not qualify to remain lawfully in the United States, they still cannot be removed, because no country in the world will provide them with travel documents. Congress has thus far stalled efforts to provide such persons with immigration status and protection, but to date, the US statelessness problem has been limited to such persons who were made stateless by the actions of other countries. Current efforts to restrict US citizenship risk creating new stateless persons within US borders. For a regional example of how weakened citizenship rights can cascade into statelessness, one may refer to the events that have unfolded in the Dominican Republic in recent years. There, a widely-reported decision by the Dominican Constitutional Court in 2013 reinterpreted a previously inclusive citizenship rule to exclude from Dominican nationality children born in the country to unauthorized migrants. This change in the law prompted public authorities in that country to deny passports, refuse to issue national identity documents, and reject requests for birth certificates of hundreds of thousands of Dominicans with Haitian parents. While Americans may scoff at any suggestion that the United States could go the way of its Dominican neighbours, a troubling parallel does exist. Only a few years ago, it was widely accepted that anyone born in the Dominican Republic was Dominican. Then, prominent observers began to argue for a restrictive interpretation of the Dominican Constitution, and this view was advanced though litigation. Finally, this grew into a law reform effort and led to hundreds of thousands of denials and deprivations of nationality and widespread statelessness. The United States should be aware of how slippery a slope restrictive citizenship measures can be, and create necessary safeguards to prevent statelessness.